They are a family run business and one of the largest civil engineering companies in the North. 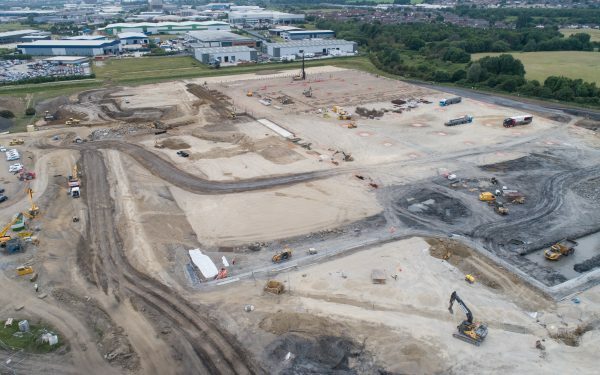 In January they were awarded the groundworks contract by Bowmer Kirkland for a huge site on the outskirts of Leeds Click here for more information on the project which includes a whole host of things from drainage to foundations, kerbs, trenches and ducts, piles and much more. The weather for flying was ideal, light winds and plenty of sunshine. The video is posted below so you can see the extent of the site and what Howard Civil Engineering are doing. I have been Civil Aviation Authority (CAA) approved to fly drones for several years and can’t think of a better job. I shoot all my drone aerial videos in 4k for maximum resolution and when the footage is seen on a high resolution screen the quality is just stunning.